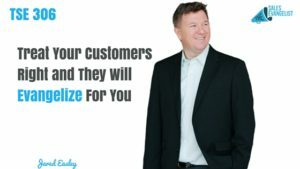 Today, we’re going to talk about the power of treating your customers right. Treat them the way they need to be treated and they could actually become evangelizers for you. I’m bringing in Jared Easley on the show today as he shares with us how he experienced terrible customer service and how he dealt with it to fix the situation by giving an honest review to make him heard. Jared Easley is the co-founder of Podcast Movement and is also the host of the awesome podcast Starve the Doubts. 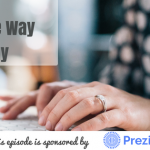 This is a fun conversation as we talk about dealing with your haters, getting around the “shiny object” syndrome, and lessons from The Walking Dead that you can actually apply to sales. Have key connections and relationships. Collaborate with someone. Build relationships and they will trust you. When it’s time to pull the trigger, they’d be more confident to trust and support you. Provide value as you teach. Be authentic with your desire to help and serve others. If you’re not seeing reasonable results, consider leaving honest public reviews to warn people about a negative service that you tried to reconcile. Don’t be afraid to pull a trigger on a negative review if the situation warrants that because it could be the catalyst to help you reconcile with the company and fix the situation. You have to keep your cool when things don’t seem to go a certain way with the pipeline. Chill out, think it through, and you would get better results. Don’t just jump because you’re frustrated or upset. Think of creative ways to get around challenges. Creative solutions always have a way of making things work. Make sure you collaborate with the right people. Bring value to that community and then you become an intricate part of that community where you can position yourself as a leader. Be willing to say you’re going to make things happen. Don’t just take a break and chill. Go for what you need to go for. Don’t let shiny marketing make you feel like you need to jump or else you’d be missing out. Know the people you’re trying to work with and where they are and focus your time and energy on those. Social selling is awesome but don’t get distracted and start wasting your time. Opportunity looks a lot like work. Just do your best and be focused. Make the most of that opportunity. Be a good steward of where you are because that’s the stepping stone to your next opportunity.